With the fast development of social media in recent years, affective video content analysis has become a hot research topic and the relevant techniques are adopted by quite a few popular applications. 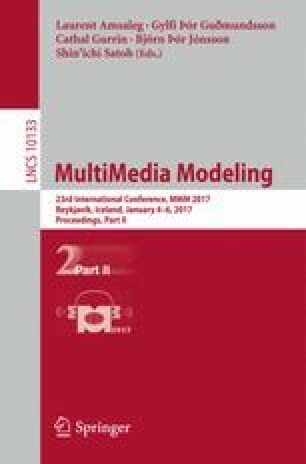 In this paper, we firstly propose a novel set of audiovisual movie features to improve the accuracy of affective video content analysis, including seven audio features, eight visual features and two movie grammar features. Then, we propose an iterative method with low time complexity to select a set of more significant features for analyzing a specific emotion. And then, we adopt the BP (Back Propagation) network and circumplex model to map the low-level audiovisual features onto high-level emotions. To validate our approach, a novel video player with affective visualization is designed and implemented, which makes emotion visible and accessible to audience. Finally, we built a video dataset including 2000 video clips with manual affective annotations, and conducted extensive experiments to evaluate our proposed features, algorithms and models. The experimental results reveals that our approach outperforms state-of-the-art methods. This work was supported by the National Natural Science Foundation of China (Grant Nos. 61572060, 61190125, 61472024) and CERNET Innovation Project 2015 (Grant No. NGII20151004).